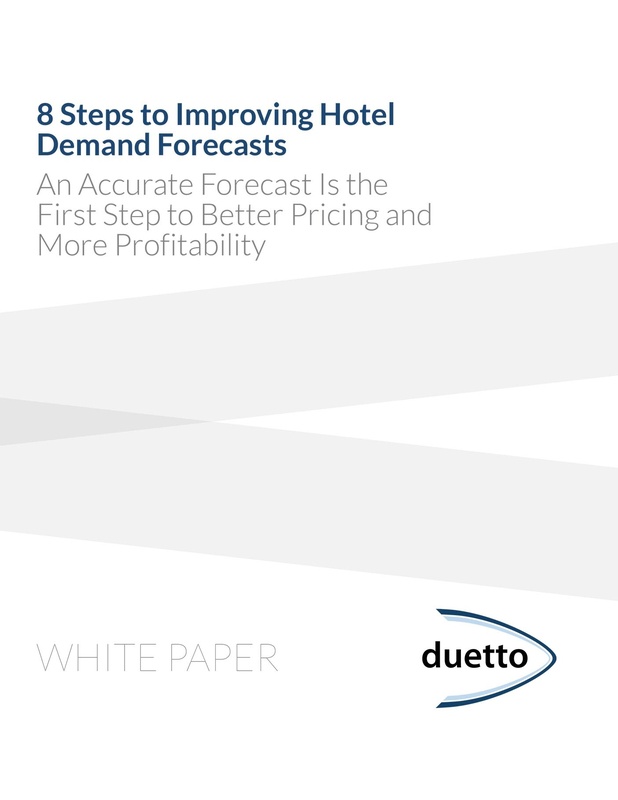 The clearer the picture you have of upcoming demand, the better you can prepare accordingly in many phases of operation, from staffing to marketing to pricing. 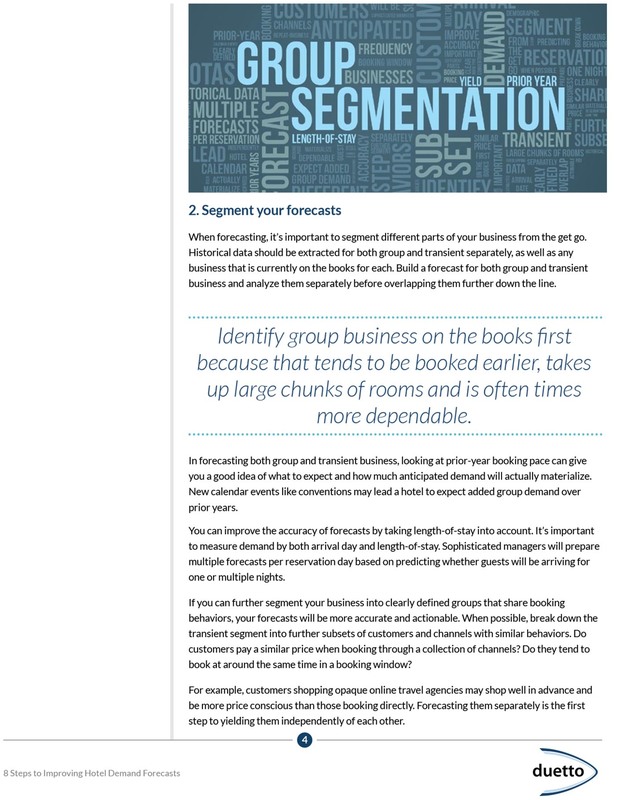 Forecasting is a complex discipline and can be overwhelming at first, but it can be broken down into simple steps. 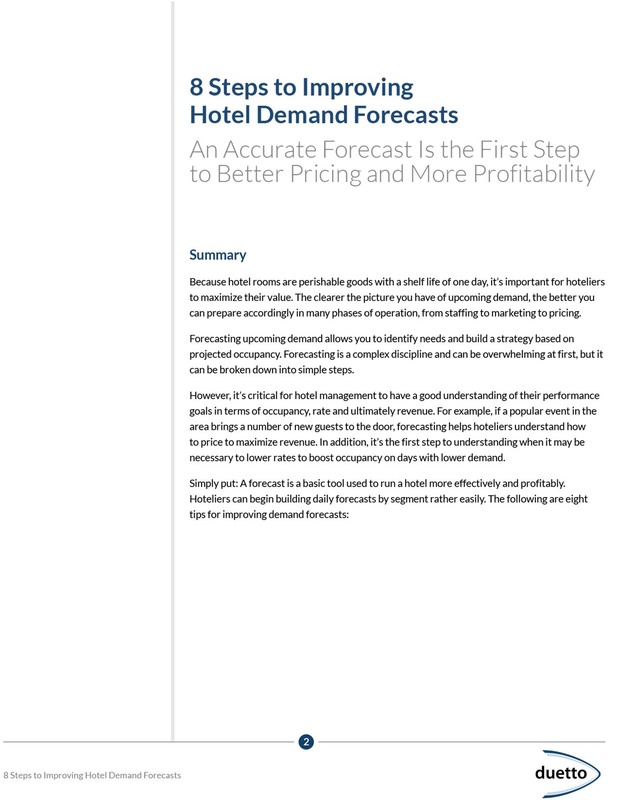 With the addition of multiple OTAs with various pricing and commission models, as well as a shrinking booking window, having an accurate demand forecast is the first step to better pricing and more profits. 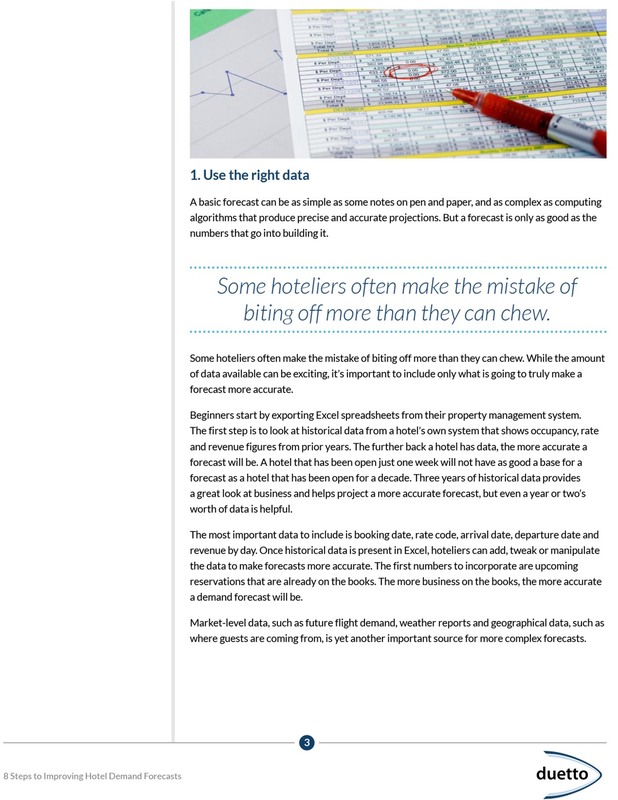 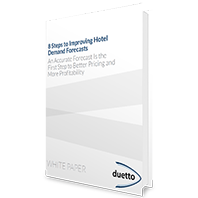 In this whitepaper you can read 8 tips for improving your hotel demand forecasting.